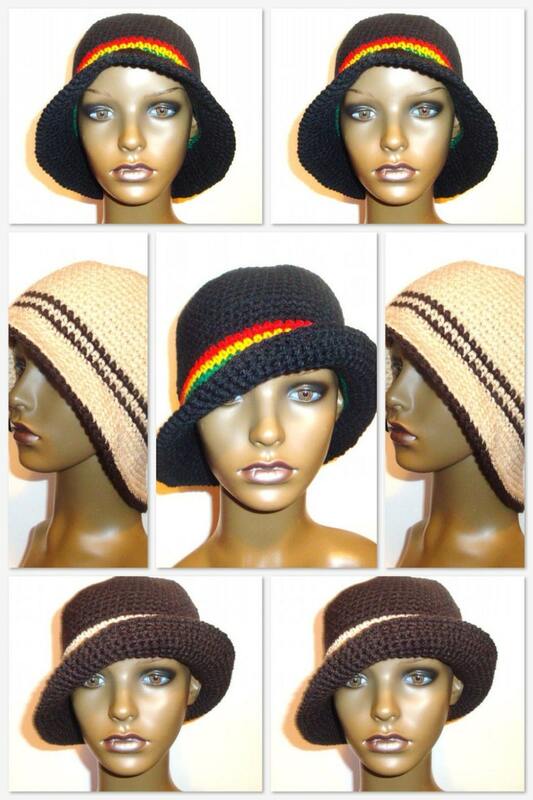 Crochet this popular design to protect you from the sun and /or to keep your head warm. Use a cotton yarn to help keep cool, or try acrylic or wool to keep your head warm. You can add stripes, a flower or just leave plain. Two flower patterns are included as well as directions for the UK and US stitch versions of the pattern. Pattern uses Debbie Bliss Eco Cotton or other Aran weight yarn and an H/5mm hook. Directions are for small, medium and large.